So you have a problem with your Mac and are looking for help, support or a repair in the Ipswich area. Maybe it won't turn on or it's running really slowly. It could be that you need help with getting iCloud to work or some other issue. There are a variety of options open to you and this article will help you choose what's best for you in your particular situation. Is your Mac under warranty, do you want to drop it off to someone or would you prefer a technician to come to you? All the options have different pros and cons so I have broken the options up into 4 different ways you can get your Mac problems solved. Whilst this isn't a local option, it is sometimes the best source of help. For example if your Mac is under warranty or you know that there are free options available to you such as keyboard replacement on recent MacBooks. Be prepared to spend some time on the phone as it can be very time consuming whilst the support person goes through their script. You could spend several hours on the phone only to be told that you need to take your Mac to a repairer. If you have a retina MacBook, Apple is the only economical way to replace the keyboard or screen. You will probably be referred to an Apple authorised service provider though. Apple will not deal with any hardware issues if your Mac is over 5 years old. When is this a good option? If you are having problems with iCloud and pay for storage there is free support and they will solve your issues. When your Mac is under warranty. If you have a broken screen on a retina MacBook Pro or, similarly, if you have a broken keyboard. This could be an Apple store or what's called an Apple authorised service provider (AASP). The nearest Apple stores to us are in Norwich or Cambridge. We do however have an a AASP in Ipswich - the iStore in Tavern St. The other option is Stormfront in Bury St Edmunds. Both of these shops are authorised to do warranty work and can replace screens and keyboards on retina MacBooks. Be prepared to have your Mac sent off for 5-7 days. Though there are technicians in the stores who perform some repairs. Knowledge can be a bit limited sometimes and the staff are obliged to do everything the Apple way. For example they cannot repair anything over 5 years old. The same applies to many upgrades which Apple does not permit. Bear in mind Apple's policy of not preserving data so make sure you have a backup before seeking support. If your Mac is under warranty or subject to a repair extension programme this is the obvious way to go. If you have a retina MacBook and need the screen or keyboard replacing. Apple is then the only worthwhile option. Expect to pay several hundred pounds for the repair though. Whilst there are cheaper options that use fake or refurbished parts, getting it done by Apple is my strong recommendation. This is the option that gives you the best opportunity for support and repairs from highly experienced technicians. The key in this category is the word "specialist" It's what we do all the time and we have more honed skills and experience than the generalists or most Apple employed technicians. 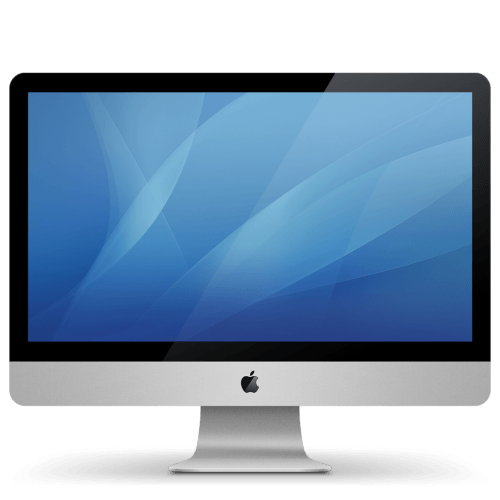 An independent specialist can work on Macs that are older than 5 years and can provide upgrades and repairs that Apple are not permitted to do. We also work to preserve data as opposed to erasing it. Generally an independent technician will come to you and work on your Mac at home or office. On the down-side, replacement of screens and keyboards on 2013 and later MacBooks is not economically possible by an independent specialist. The parts are available but it is cheaper to go direct to Apple. An independent technician is generally similarly priced to Apple or more expensive. The extra cost brings a wealth of experience and knowledge along with a freedom and desire to repair and help with any Mac problems. All of the above cover the Ipswich area and work on the road to cover most of Suffolk and Essex. They will come and visit you at your home or office. For most repair and support needs this is your best bet. The exceptions are; warranty work, retina MacBook screens and keyboards. If you don't want to be without your machine whilst it is sent away. If you want someone to come to you and repair your Mac as opposed to taking it to a workshop. If you want someone you can trust and build up a relationship with over time. If you value the knowledge, experience and support that you can only get from a Mac specialist. This is by far the option with the most providers. There are probably hundreds of generalist computer repairers in Ipswich of varying levels of skill and experience. Most work predominantly on Windows computers and repair Macs as an addition to this service. There are several however that will take a look at your Mac and if it is not within there expertise to repair it, they will refer you to a specialist. A bit like going to see your GP. These are a good option. Unfortunately there are many that don't have the skills and experience necessary to work on Macs - in the same way that I would struggle to work on a Windows computer. These are best avoided and are often recognised by being the ones that offer the most services. From Phones to computer games to Macs - they do it all. Of course there are generalists who have several staff with varying skills and can provide specialist service within their workforce. The generalist is often cheaper than a specialist but not necessarily better value. These are just a few generalist computer repair companies that came up in a Google search for Mac repairers. If you are looking for economy then this may be a good option for you. Though sometimes a repair ends up more expensive if you end up having to go to a specialist. If you find a generalist who is good, you can get other devices repaired by the same company. As you can see there are various options with different merits. To use an old analogy: would you rather have heart surgery done by your GP or a specialist? The answer is pretty obvious. So should you go to Apple or an independent specialist? I believe that depends on what your problem is. For warranty and repair extension programmes, Apple is a no-brainer. For Retina MacBook screens and keyboards, Apple is the only way to get a genuine part fitted economically. If your Mac is older than 5 years, Apple will not work on it so an independent Mac technician is your best bet. For upgrades Apple is invariably the most expensive and they are often limited to what they can offer. So an independent is the best bet and a generalist may be more economical. I would still suggest trusting a specialist though. For everything else it is probably better to get in touch with a local independent. Very good article, and thank you for the reference to myself. You are very welcome, Hugh and thanks for your kind comment.